Canadian Prime Minister Justin Trudeau cannot catch a break in India. 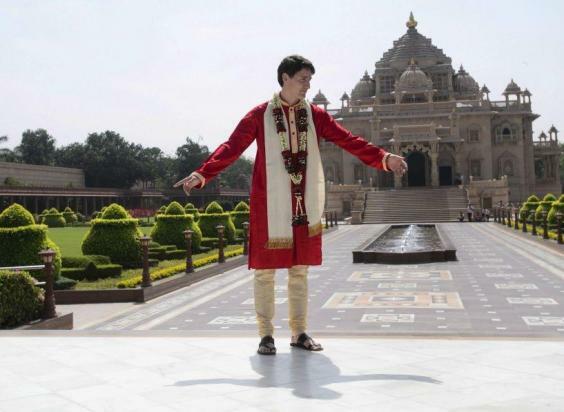 Trudeau, accustomed to being praised for his Prince Charming good looks, is getting a lot of flak on his tour of India, and the latest gags focus on his razzle-dazzle wardrobe, upstaging even India’s flamboyant movie stars. Offending garments include Trudeau’s long, multicolored sherwanis, usually worn on special occasions such as weddings or in Bollywood movies. 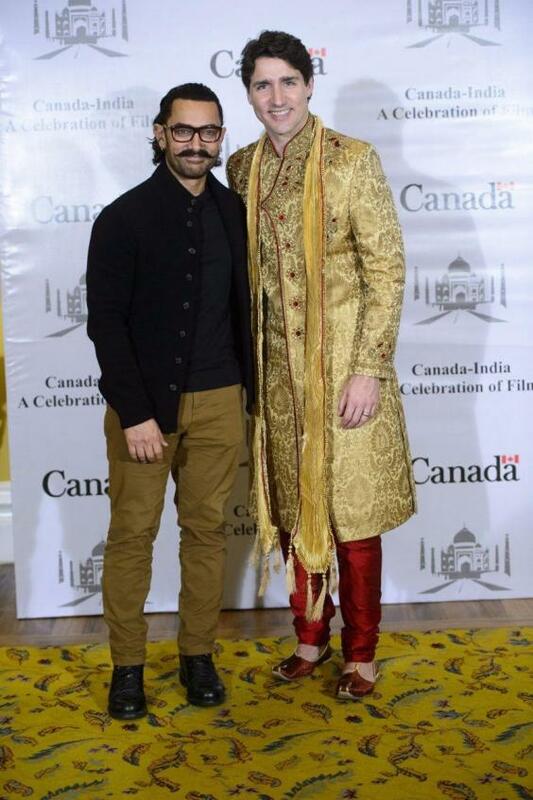 Trudeau wore a sparkling gold one to a meeting with Bollywood’s top brass while the film stars wore muted black suits. 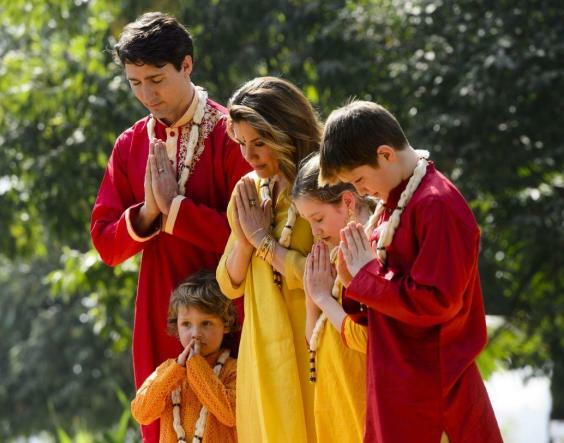 Add to that the Canadian first family’s posey, soap-opera style namastes, and it’s enough to keep social media here buzzing with memes and jokes. 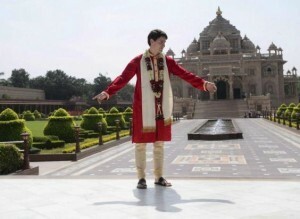 The gaffes about the razzmatazz outfits are latest in a series of fiascos during Trudeau’s India visit. 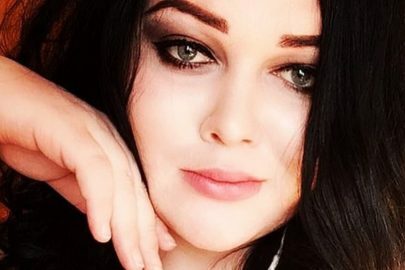 First, the leader was teased for being “snubbed” by Indian Prime Minister Narendra Modi when a junior agricultural minister was sent to receive him at the airport. 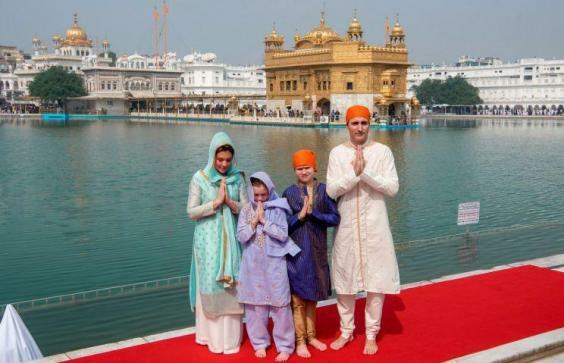 Many pointed out that Modi, known for his social media savvy, did not even tweet a welcome on the Trudeaus’ arrival until five days into the trip. 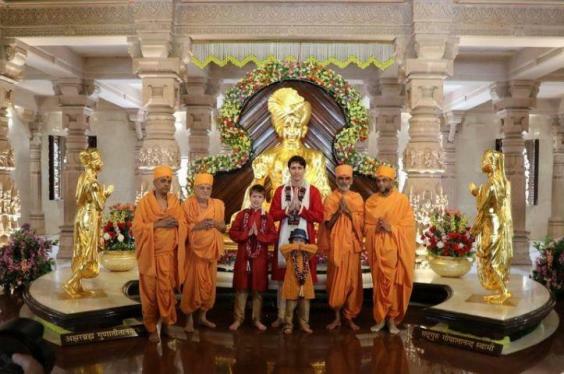 Then, Trudeau was trolled for misspelling “Gandhi” in a tweet sent from the revered Indian leader’s ashram. 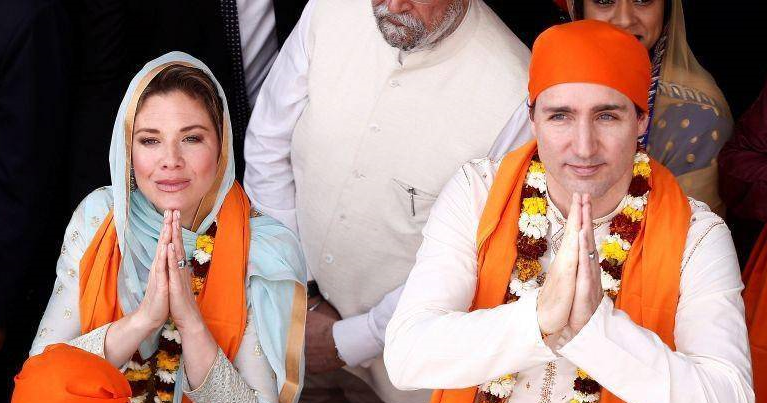 Trudeau’s India trip has been beset by allegations that his Liberal Party curries favor with Canada’s prominent Sikh minority by supporting secessionist Sikh groups that want an independent homeland called Khalistan. Trudeau’s administration has denied backing pro-Khalistan groups. On Thursday, Trudeau’s attendance at the Canada-India business summit was overshadowed by embarrassing revelations that the Canadian High Commission (the country’s diplomatic mission in India) had issued, and then rescinded, official invitations to Jaspal Atwal, a businessman convicted of trying to assassinate an Indian politician in the 1980s. “Canadian Prime Minister Justin Trudeau feted the world over as the new face of ‘liberalism’ seems to find it difficult to accommodate critical media coverage,” an announcement from the magazine read. Meanwhile, on social media, memes and jokes about the Trudeaus’ attire are spreading. 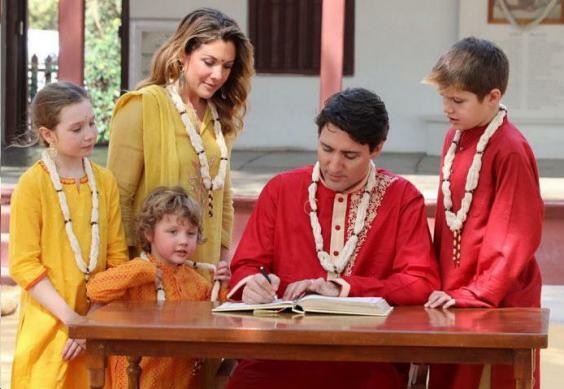 Some Indians are offering style advice to the leader, while others accuse him of cultural appropriation. In 2017, he caused a stir when he attended Toronto’s gay pride parade wearing rainbow-colored socks that said “Eid Mubarak” to simultaneously celebrate the end of the Islamic holy month of Ramadan, which fell on the same day. 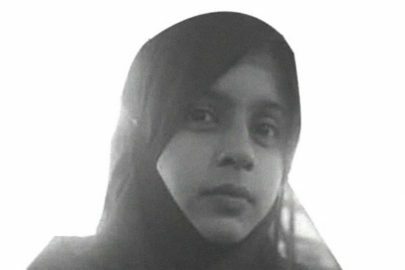 At the time, many pointed out that Trudeau’s catchall enthusiasm for liberal causes failed to address their complexity – some Muslim countries are criticized for violently persecuting gay people. 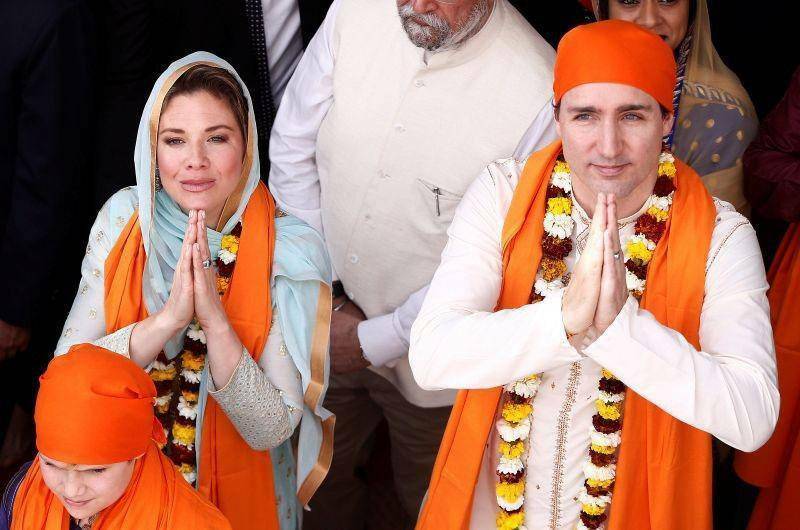 The Trudeaus commissioned top Indian designers for their photo-rich India tour, but in India, critics say, the over-the-top costumes fail to mask the visit’s shallow accomplishments. “It’s a kind of reverse colonialism to want to mimic the ‘native,'” political campaign adviser Dilip Cherian wrote on the Print news website. Others praised the Trudeaus’ striking sartorial choices, saying it showed appreciation for India.